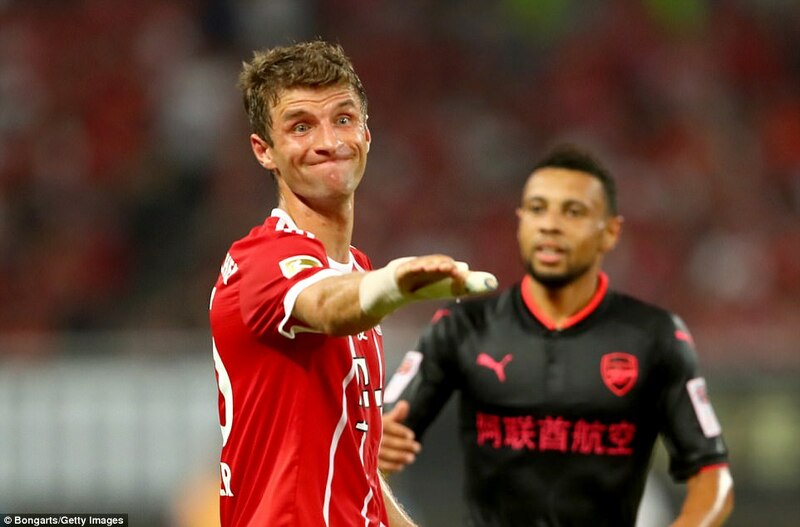 Arsene Wenger got the defensive test he was seeking against Bayern Munich – the only problem was Arsenal had very few genuine defenders on the pitch to benefit. Per Mertesacker pulled out before kick-off feeling ill, Laurent Koscielny did not feature and Sead Kolasinac was forced off before half-time. 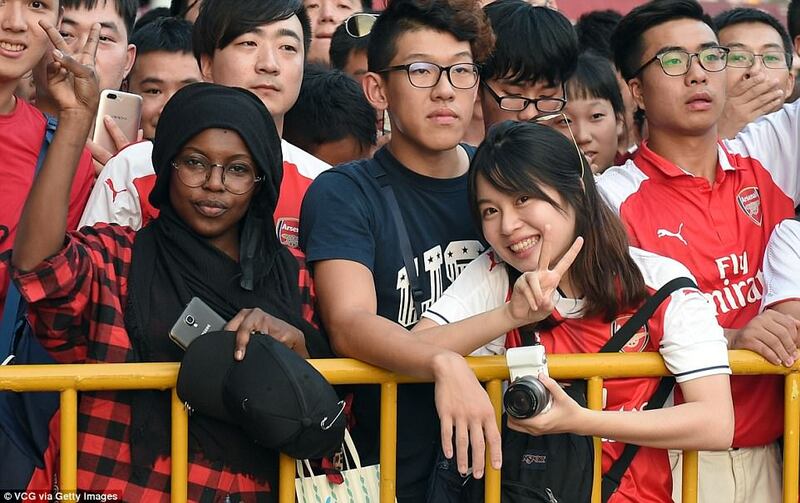 Olivier Giroud was also unwell and stayed in the hotel, all of which raised the usual questions about the sense in combining pre-season training schedules with the sweltering tropical heat of venues such as Shanghai. 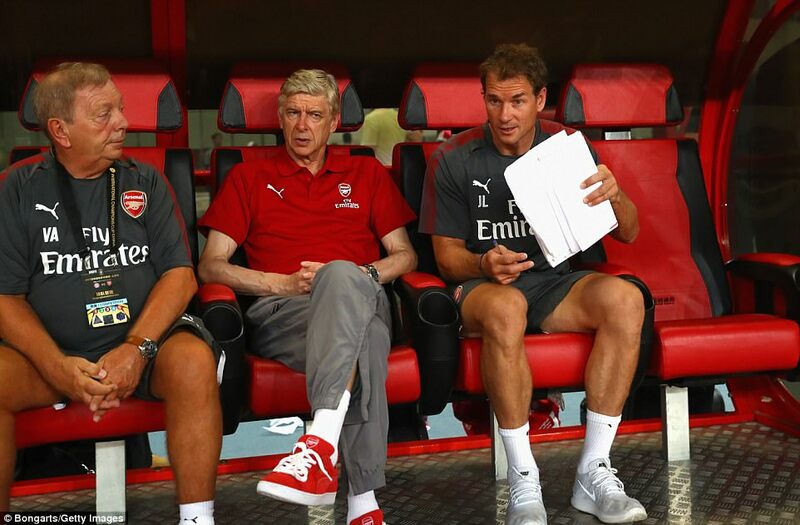 Assistant manager Steve Bould was another conspicuous by his absence on the bench, which was a shame because he might have been useful at centre-half. 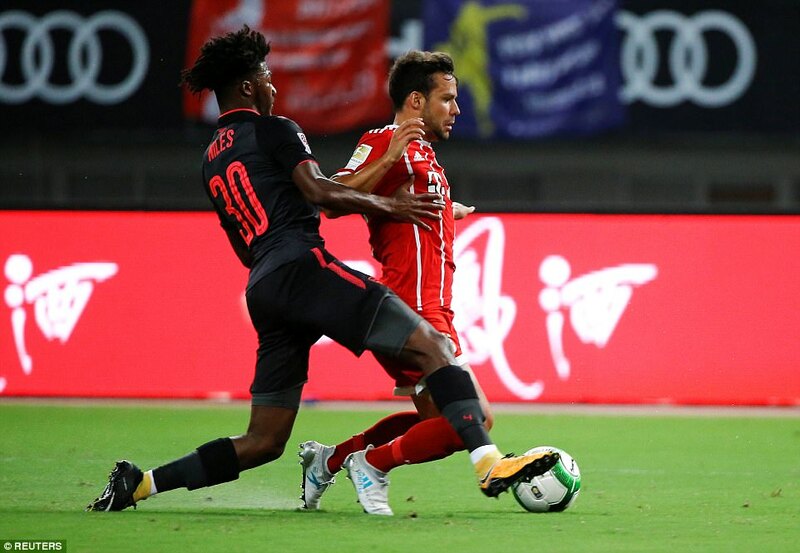 Arsenal finished the game with a back-five of Reiss Nelson, Ainsley Maitland-Niles, Mohamed Elneny, Nacho Monreal and Cohen Bramall and, all things considered, they responded very well. 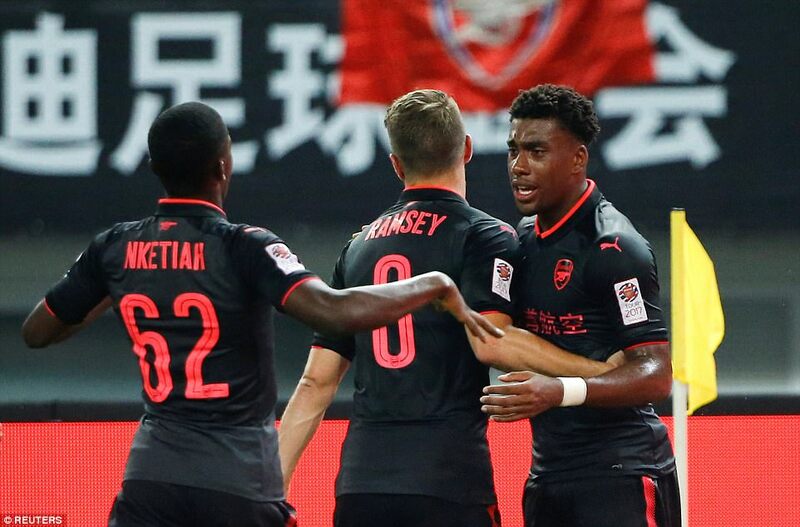 They went behind to a Robert Lewandowski penalty, early in the game, but Alex Iwobi summoned an equaliser with the very last kick of the game, heading in from an Aaron Ramsey cross. Arsenal went on to win 3-2 on penalties with back-up goalkeeper Emiliano Martinez saving two spot-kicks. It was a remarkable outcome considering what had gone before. 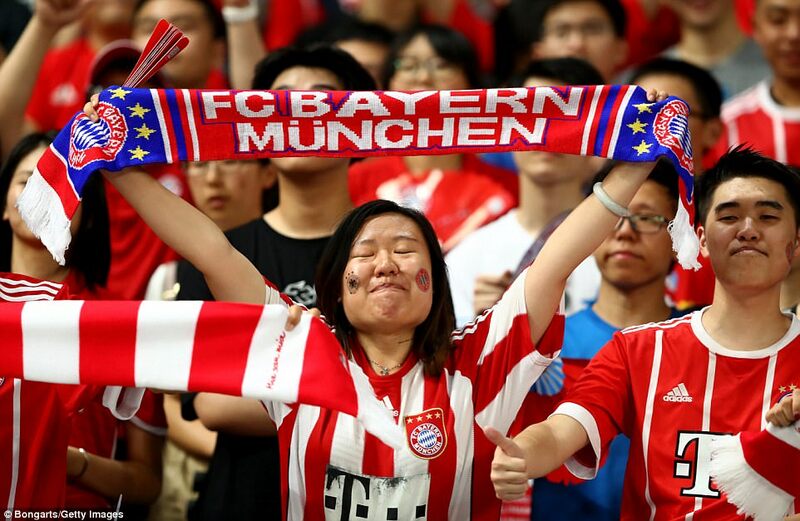 Bayern picked a strong side and started with purpose, looking closer to a team ready to start the season. They seemed to cope better with the stifling heat, helped by the fact they had the ball for most of the game but paid the price for squandering chances. 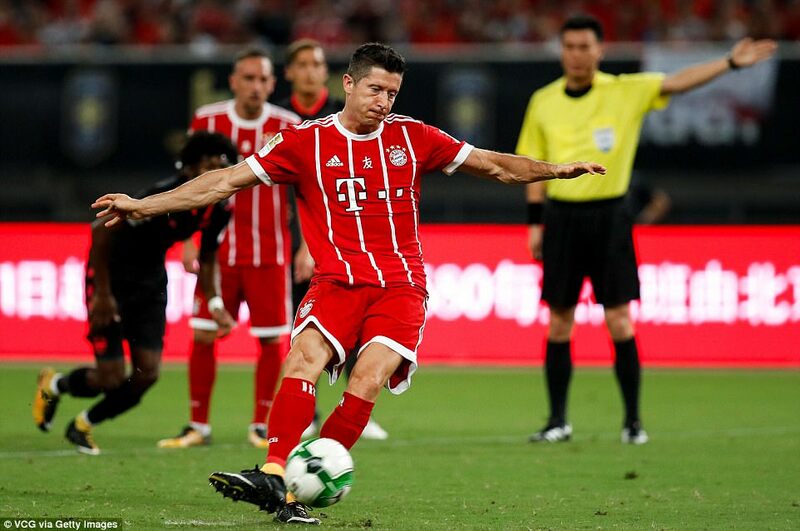 The only goal for Carlo Ancelotti’s side was Lewandowski’s penalty, confidently converted after a clumsy challenge by Maitland-Niles on Juan Bernat in the ninth minute. 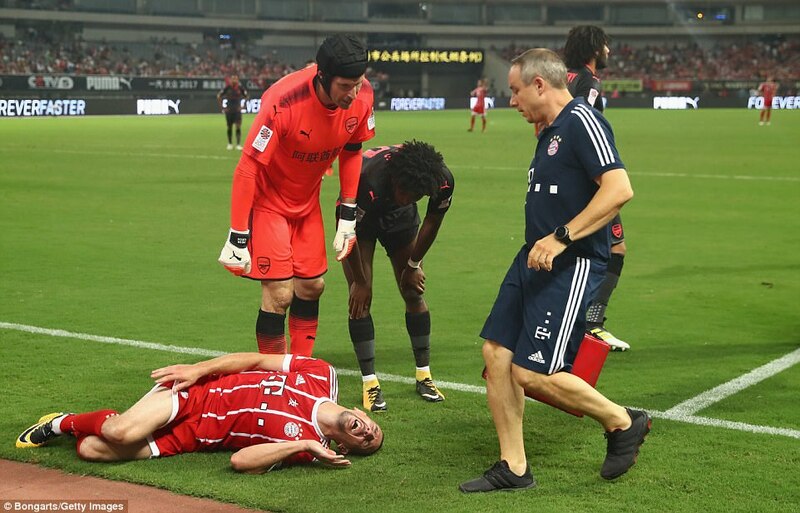 It was a soft decision by the Chinese referee, Bernat went down with barely a trace of contact and the decision would have been heavily disputed were it not just part of a glorified training exercise. Franck Ribery terrorised poor Maitland-Niles, who started a right wing-back and must have been relieved to be spared further exposure by a half-time reshuffle. When he was moved into the central three Nelson, who initially replaced left wing-back Kolasinac, switched to the right and Bramall came on to play on the left. 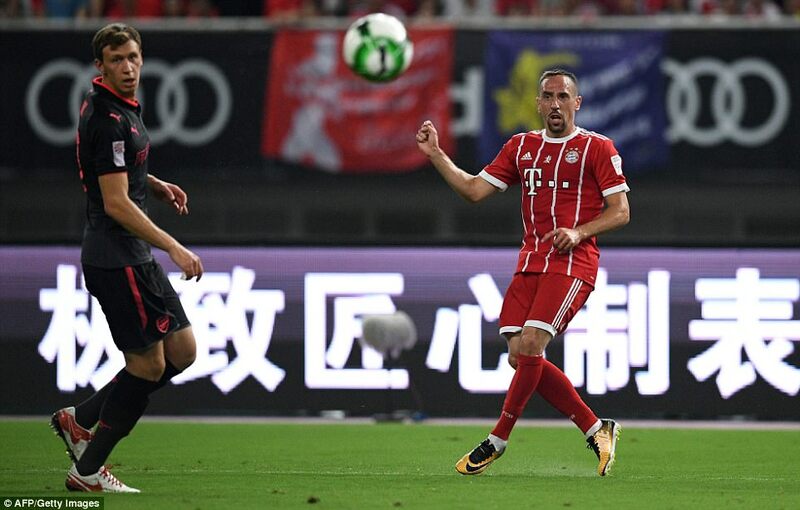 Ribery, devastated by injuries in recent years, looked as if he might be close to being back to his best. He tore down the flank to great effect and only Bayern’s wayward finishing and a series of decent saves by Petr Cech kept the score down in the first-half. Corentin Tolisso scored a goal which was created by a Thomas Muller header and ruled out for offside. 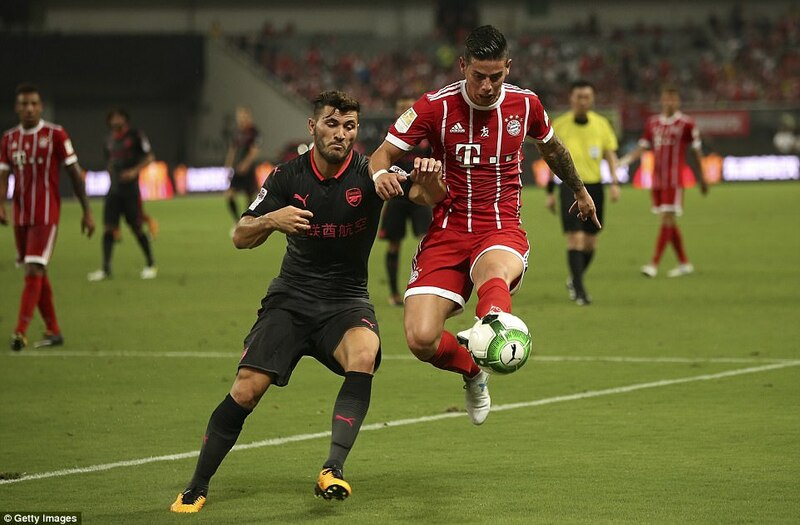 Granit Xhaka denied James Rodriguez a simple tap-in when he chased back to clear a low cross from Ribery. Despite their defensive instabilities, Arsenal broke well and created some good chances. Mesut Ozil volleyed one straight at the goalkeeper Tom Starke when he ought to have buried a fine cross from Danny Welbeck, who operated on the left in the first-half. 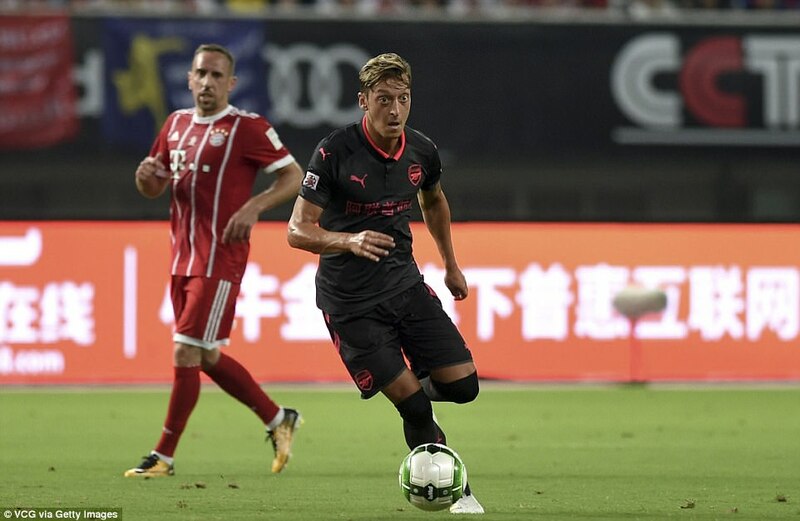 Then Ozil and Alex Lacazette offered a glimpse of what could be when the playmaker split the Bayern defence with a pass and the £52million striker burst clear. 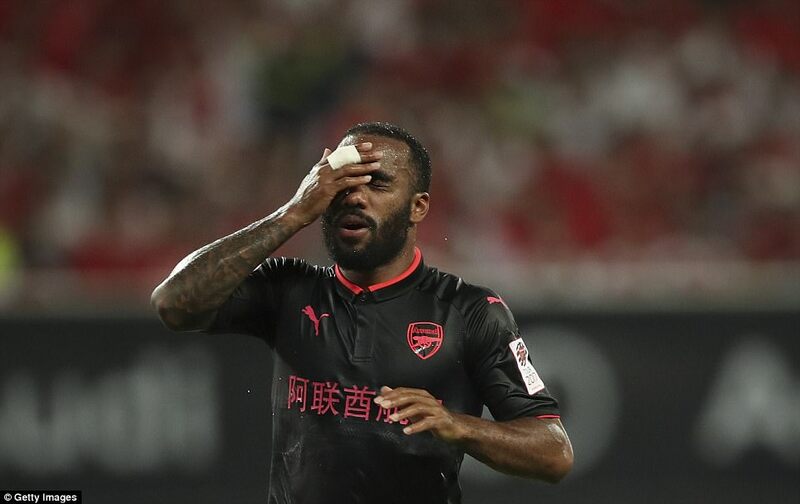 Lacazette did not find a finish to match, however, and Starke made another strong save. 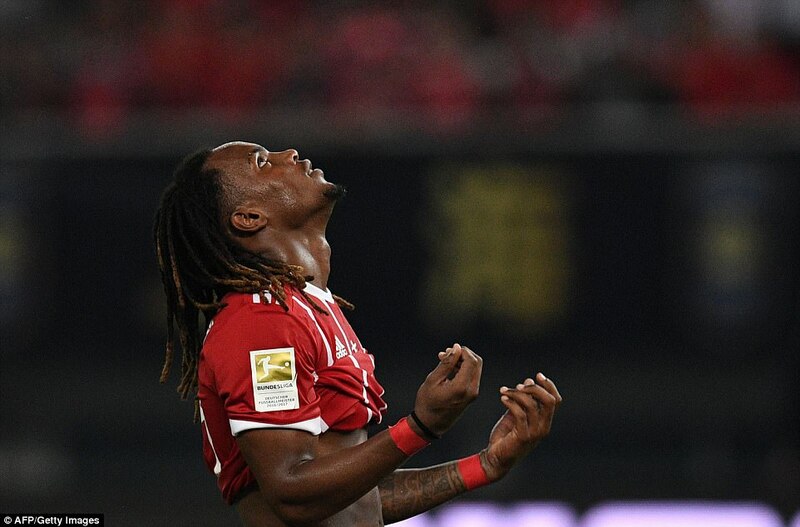 Arsenal improved after the break and came into the game as Bayern faded but their prospects of equalising were largely confined to the occasional breaks out of defence. 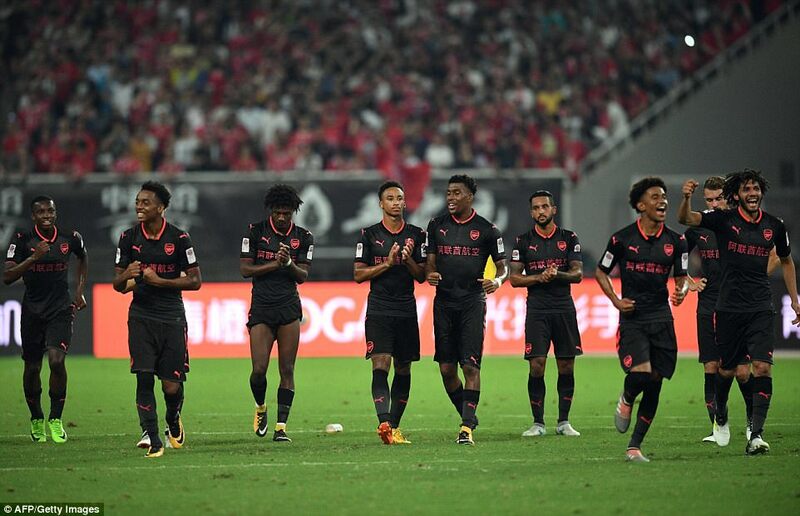 Just as the equaliser seemed to have eluded them, Iwobi burst forward and scored a fabulous diving header.The Chinese crowd were delighted to find out it would be decided by penalty shoot-out.